Santa Clara, California: September 8, 2016 – The JPS Foundation announced its JA$400,000 sponsorship of the Palisadoes Foundation’s first annual Calico Challenge today at an event held at the UWI Computing Lecture Theatre today. This marks the conclusion of a successful collaboration between the JPS, the Jamaica Computing Society, the Palisadoes Foundation, the UWI Computing Society and the University of Technology IEEE Student Branch. The Calico Challenge is a summer work study program for computer science students in Jamaica. Each selected student works on enhancing open source software used internationally under the guidance of a Jamaican mentor. Students receive a US$500 stipend for their participation which is incrementally paid upon the achievement of specified milestones. Calico is also a feeder program for the similar Google Summer of Code. The JPS Foundation’s contribution was used to both fund student stipends and special awards to be announced. (l-R) Kevin White, JPS Foundation Coordinator; Collette Bailey, Palisadoes Foundation Volunteer; Sheldon Powe, President, Jamaica Computer Society. Calico was conceived by The Palisadoes Foundation in conjunction with the Jamaica Diaspora Technology Task Force. There has been close technical collaboration between the Foundation; the University of the West Indies (UWI) Department of Computing, Mona; the UWI Computing Society; and the University of Technology IEEE Students Branch to identify open source projects, student sub-projects and mentors. 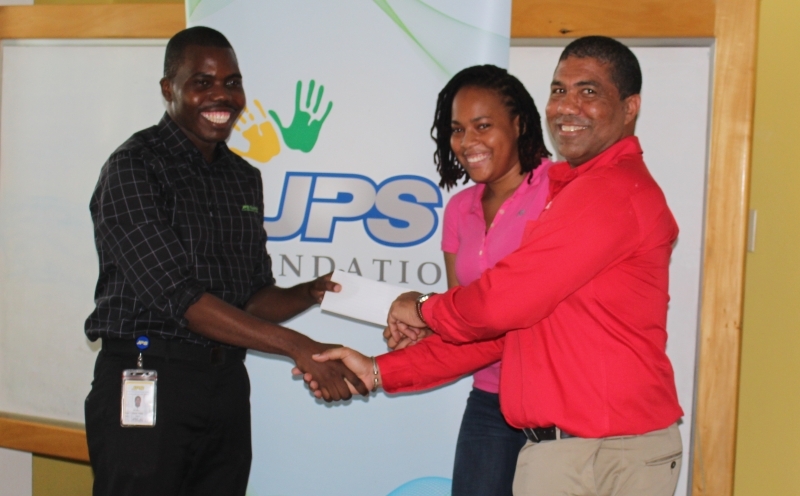 The JPS Foundation expands the Jamaica Public Service Company’s role beyond a utility company to include community outreach and the consistent support of Jamaica’s National Development plans. Since 2013 the JPS Foundation has been the philanthropic arm tasked with the responsibility to help create positive change and prosperity as the leader in Jamaica’s energy sector. Its mission is to improve lives and empower Jamaicans through charitable development projects in Energy Education, Conservation and Innovation. The California based Palisadoes Foundation aims to provide new avenues to promote Jamaica’s technology businesses and talent using a series of programs aimed at creating increased awareness of the island’s abilities in the global marketplace.